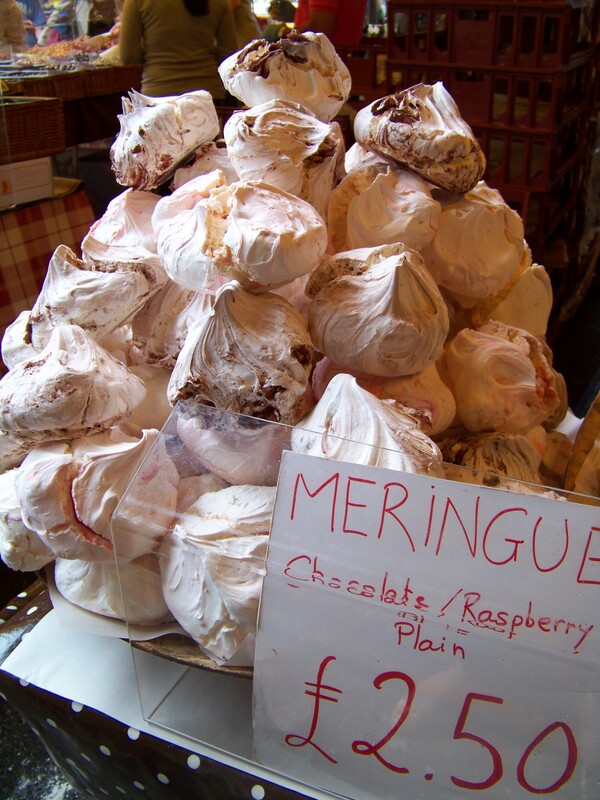 Inspired by these beauties I saw in Borough Market in London, I decided to try making meringues. 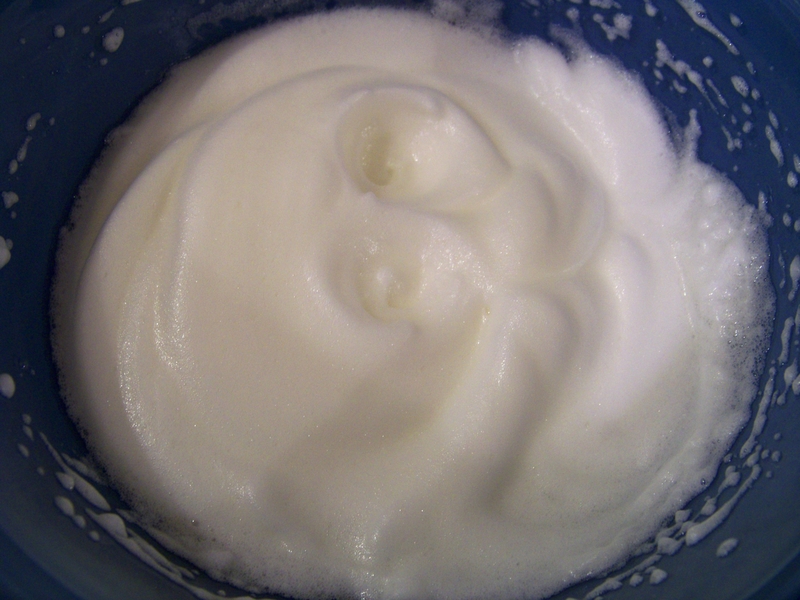 I started with two egg whites. 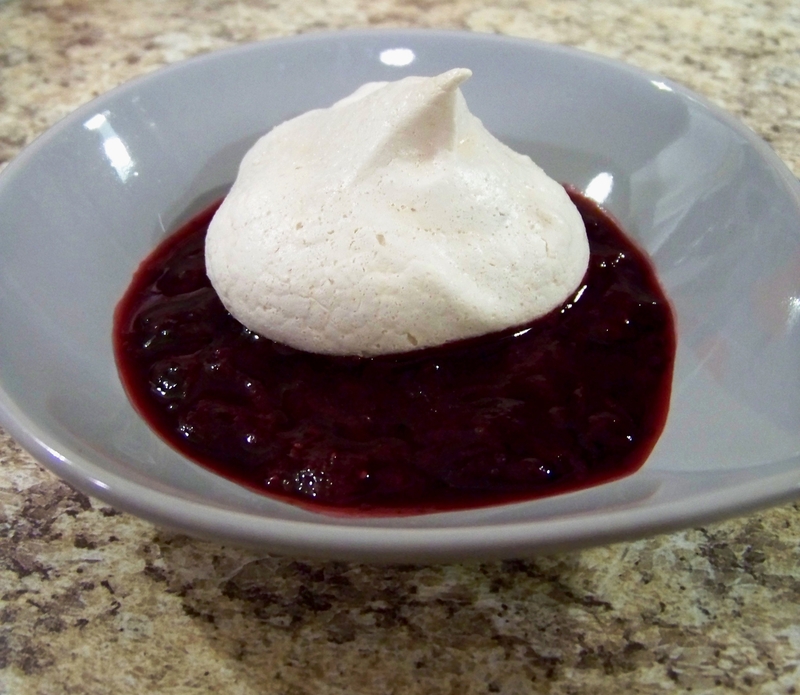 According to everything I’ve read about meringues, the whites have to be 100% yoke free to shape up correctly, so separate carefully. 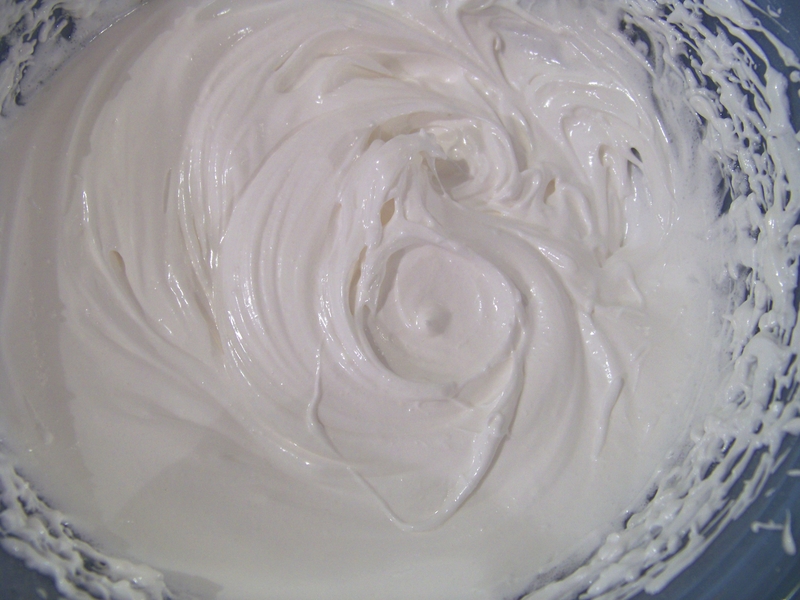 I whipped the whites until they formed peaks, then added a half cup of sugar and a teaspoon of vanilla extract and continued whipping until stiff and glossy. 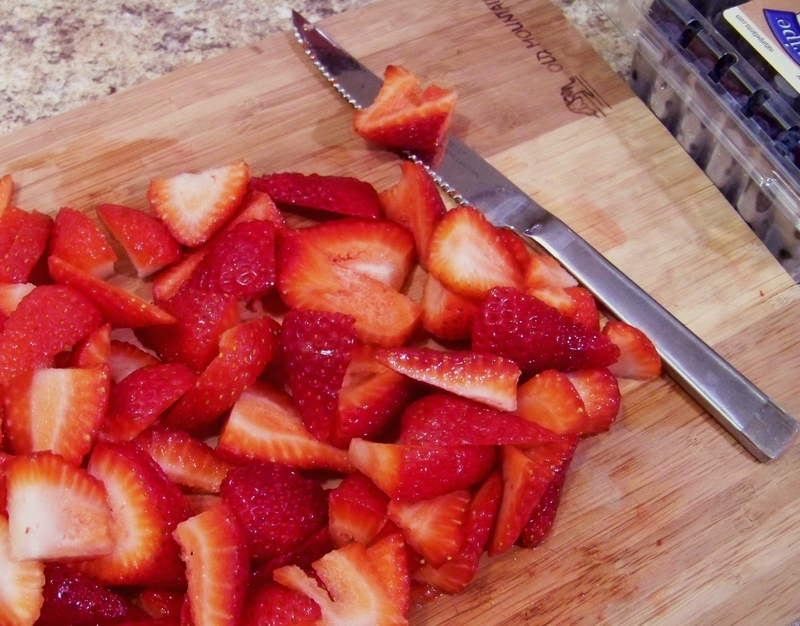 Then I spooned the mixture onto a cookie sheet covered in parchment paper. 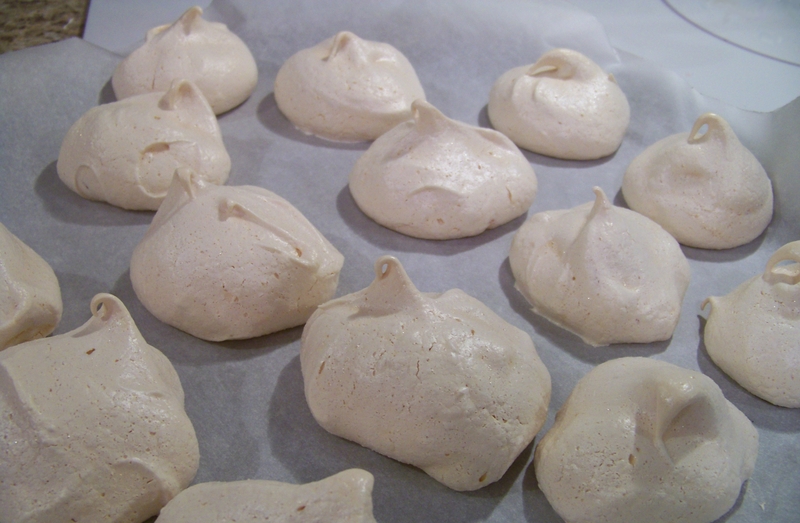 Meringues need to be baked for a long time at a low temperature. 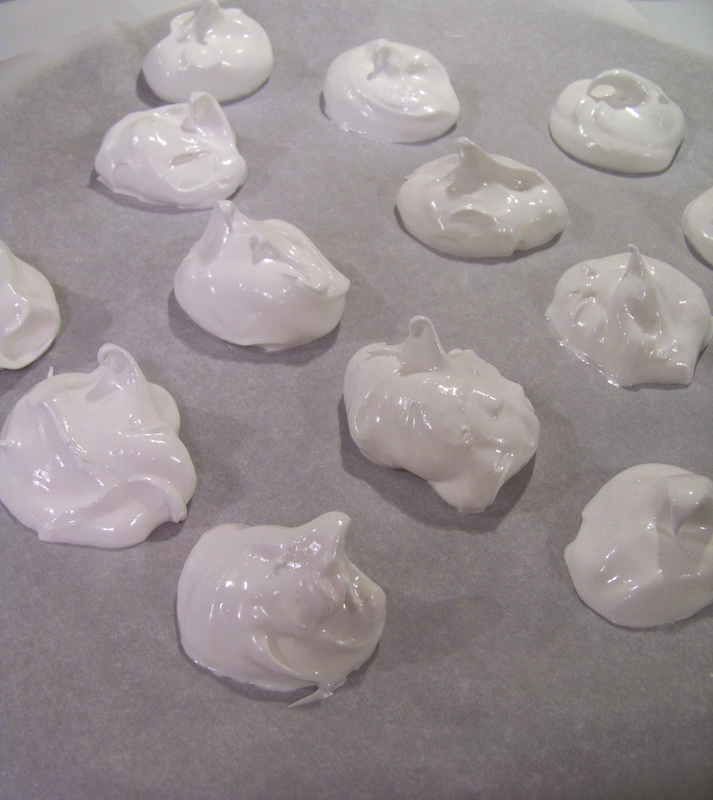 The lowest setting on my oven is 250° so I baked them at that temperature for about 1 hour and 20 minutes until they sounded hollow when I tapped them. 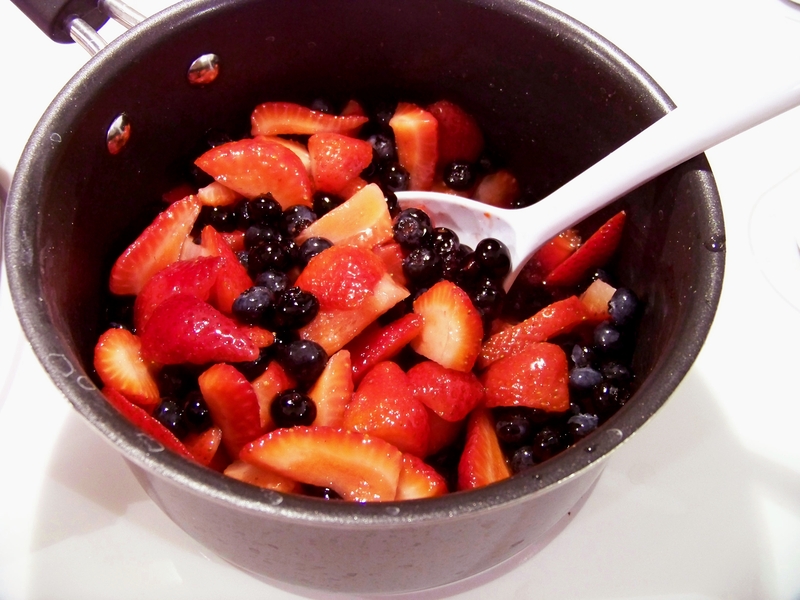 To make the compote, I started with a simple syrup from 1/4 water and 1/2 cup sugar, then added 1 pound of chopped strawberries and 1 pint of blueberries. 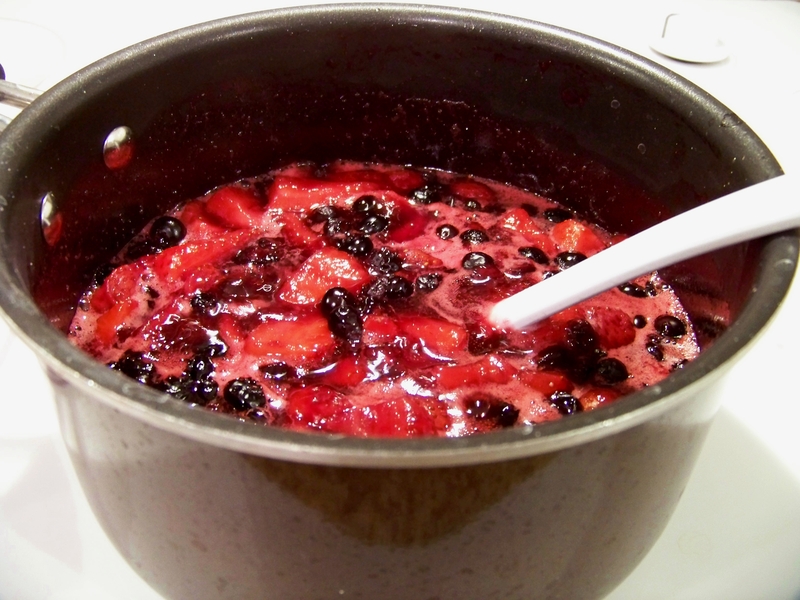 I boiled the berries until they cooked down to a thick sauce and let cool for a few minutes before serving.